Short and straight to the point. Oh it's definitely electrical. It reeked of burnt electronics and it fizzled and burned for a bit (why I booked it for an extinguisher). Hopefully I'll get the tank off tomorrow and I can explore further. I could not stop laughing at this, I'm so looking forward to the next set of pictures . Does the harness also run down the left hand side of the bike (sat on it) on the GV 650's too? If thats the case the smoke would be from the other side so it might not be the "main" harness. 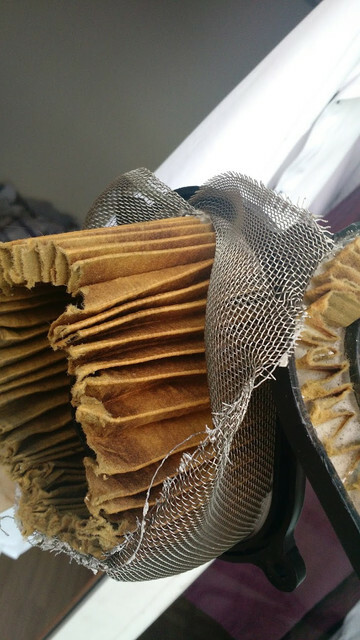 Maybe you were going so fast that a static electrical charge built up on the filter and it electrocuted itself and surprised your bike so much that is sneezed? If it doesn't do it again, then just let it be. No point starting a fight with your bike. No point starting a fight with your bike. A fight you probably won't win .